Shishu-Shakti pre-school was established to help the working women (from poor families) hailing from the rural areas on the foothills of Himalayas. With a free 7 hour long day care facility for their children these women do not have to worry about bathing, feeding and educating their child or taking care of them in any other way. These children are provided with healthy feeds thrice a day along with a glass of milk. After various activities and games, children take a one hour afternoon nap. 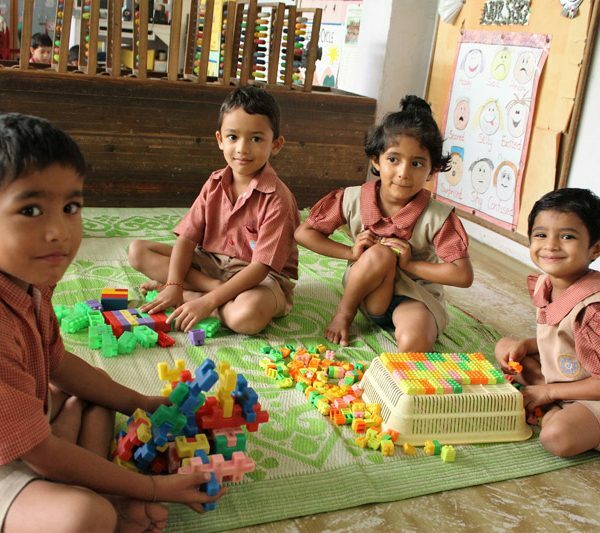 At Shishu Shakti, children are exposed to various creative and performing arts along with developing their cognitive skills through various ways such as maths lab, field visits to places like railway station, helipad, zoo etc to have real life exposure and to answer their curiosity. 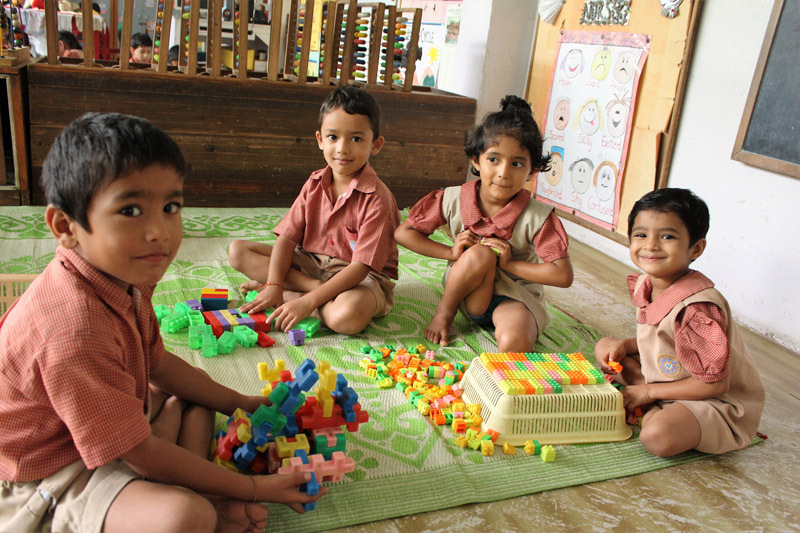 The students in the preschool receive, free of charge, complete care in terms of Nutrition, Medical Support, Excellent Classroom learning, extra -curricular activities and exposure in terms of field visits and skill development. The average cost per child is Rs. 12000/- per year. Your donation of Rs. 1000 will provide one month nutrition, training and care for a child at the shishu shakti pre-school. Started with four children about thirteen years ago, today Purkal had become a movement. Purkal Youth Development Society (PYDS) is situated in the Himalayan foothills and is dedicated to enhancing the lives of underprivileged young people in the community. Besides education, Purkal works on various aspects of community sensitization and development. The number of beneficiaries is around thousand and the influence of the Society as an opinion maker in the area must be much wider. Currently, PYDS is serving 32 villages with overall population well beyond 15000. Encouraged by the success of the model, PYDS is hoping to replicate this model and cover many more villages /beneficiaries across the state of Uttarakhand. The education programme that we run is aimed at children hailing from economically weak families but with strong academic potential. The girl child is preferred. We are attempting to give these children every input possible to make them capable of competing with their economically advantaged peers in the matter of competing for admission into professional programmes at the end of their class XII. The intention is also to support them through the professional studies that they may seek to pursue post school. It is thus a programme aiming at excellence and providing support until their useful employment. The physical development is addressed through well managed sports activities and Yoga while the emotional aspects are nurtured through arts, craft lessons, kathak dance classes and Classical music sessions. Regular field trips help widen their experience. The laboratory is widely used and projects undertaken from time to time to provide scope for experiential learning. Experiential Learning happens through well trained teachers. In this manner, we are hoping to create leaders from this community who can influence and bring about dramatic changes in the life style and aspiration levels. I honestly believe that the Society’s presence in the area over the last 13 years has already brought significant changes in attitudes. The work of the Society is sustained entirely through donations. We are now seeking to strengthen our sinews with the assistance of Corporates, online portals or large Trusts. Kritika is an extremely intelligent and competent young lady pursuing her graduation from the Asian University for Women, Chittagong, Bangladesh. Her father is a night guard with a meager source of income. Kritika is a shining example of our commitment to the deliverance of our objective. She has won an all expense paid USD 12,000 scholarship for a period of four years which has enabled her to broaden the canvas of learning. She has been on a steady path of multi faceted growth and has recently completed her internship in the USA. From the remote areas of Uttarakhand to the commercial destination of the world, the journey has been a dream come true. Akash Pal, a student of Class 5 at our School had a white patch in his eyes since childhood. With age the patch was growing and his vision was getting adversely affected. Akash’s mother works in our sister society Stree Shakti and is the primary breadwinner of her family. His father had a minor accident, post which, he works sporadically as a daily wage labour. The family’s circumstances are unfortunate, to say the least. After taking consul from a specialist at Dehradun, Akash was recommended to go to PGIMR, Chandigarh as his case was quite complicated. His case was studied in detail and subsequently, an eminent Eye surgeon at Ambala, Punjab, performed the surgery. It entailed 1 week hospitalization and monthly reviews thereafter. By the grace of the Almighty, Akash’s surgery went off well and the doctor was able to prevent further degeneration of the eye. Akash goes for his monthly reviews and is progressing quite well. The Society paid the entire expense of the surgery and post operation check-ups. Akash can now aspire to fulfill his dreams without being stymied by any potential visual limitations.